Catherine M. (Ganley) Manegre, 87, of Springfield passed away on Thursday, January 24, 2019 at Wingate at Springfield. Born in Springfield on August 3, 1931 she was a daughter of the late John and Mary (Tourville) Ganley. Catherine was educated in the Springfield School System and worked for the City of Springfield. First as a Teacher’s Aide for the School Dept. and retiring from the Board of Assessors Dept. at City Hall. 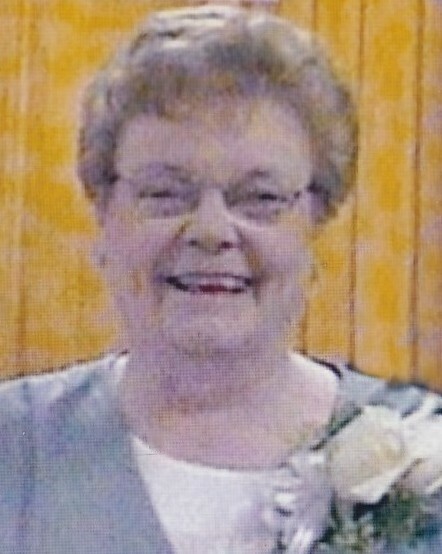 She was a member of the Springfield Golden Agers, was a former Girl Scouts leader, and a former board member and past president of the Outer Civic Association. Catherine enjoyed crossword puzzles, playing bingo, and watching game shows and the Red Sox. Above all she loved spending time with her family. Along with her parents, Catherine was predeceased by her husband, William J. Manegre; her brother, John Ganley; and her sisters, Margaret Miller, Ruth Connell, and Geraldine Maynard. She leaves her loving daughter, JoAnne Gould and her husband Walter of Springfield; her brother, Donald Ganley and his wife Charlene of Springfield; her grandson, Robert Gould and his fiancé Staunzy (Constance) Allen of Springfield; grand dogs, Cooper and Preston; and many nieces and nephews. A special thank you to Wingate at Springfield and Beacon Hospice for their compassion and care. A funeral home service for Catherine will be held on Wednesday, January 30, 2019 at 10am at Byron Keenan Funeral Home, 1858 Allen St, Springfield. Burial will conclude in St. Michael’s Cemetery. Calling hours will be held on Tuesday, January 29, 2019 from 4-7pm. Donations may be made to the Department of Elder Affairs, 1476 Roosevelt Ave, Springfield, MA 01109. For more information please visit byronkeenan.com.